He will stay there at least until 26 September 2017. Kyiv's Pecherskyy district court has placed Oleksandr Volkov in custody on murder, torture and abduction charges until 26 September 2017. He is suspected of arranging the abduction of Euromaydan activists Ihor Lutsenko and Yuriy Verbytskyy and killing the latter in January 2014. Volkov was detained early on 29 July, according to MP Mustafa Nayem. Volkov is believed to be a proxy of so-called "spirit king" Oleksiy Chebotaryov who managed notorious titushkos (hired heavies) during the Euromaydan. Lutsenko and Verbytskyy were abducted from the Oleksandrivska hospital in the early hours of 21 January 2014. They were brought to the suburbs where they were tortured and left in a forest separately in subzero temperatures. 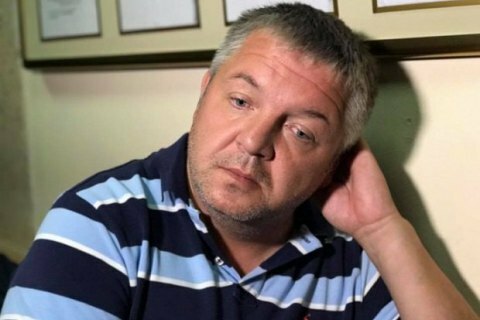 Lutsenko was rescued whereas Verbytskyy was found dead. Volkov denied involvement in the abduction. British precedent. With Stimson behind bars, is Graham Phillips next? Do Russian protests stand a chance?